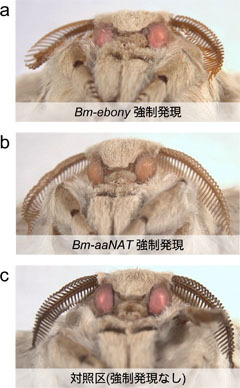 Osanai-Futahashi M, Ohde T, Hirata J, Uchino K, Futahashi R, Tamura T, Niimi T, Sezutsu H. (2012) A visible dominant marker for insect transgenesis. 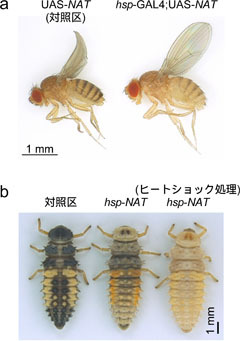 Nat Commun. 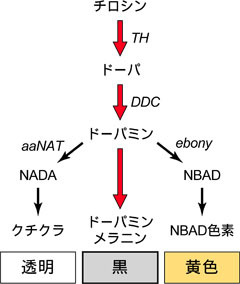 3:1295. doi: 10.1038/ncomms2312. 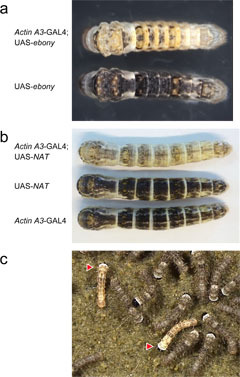 Futahashi R, Banno Y, Fujiwara H. (2010) Caterpillar color patterns are determined by a two-phase melanin gene prepatterning process: new evidence from tan and laccase2. Evol Dev. 12(2): 157-167.